Kings of Dance, Opus 3 / All Hail the Kings! It was a thrilling evening of dance at the New York City Center; everyone was excited about the Kings of Dance, Opus 3. It is produced by Sergei Danilian and stars five of the top male dancers in the world to date. 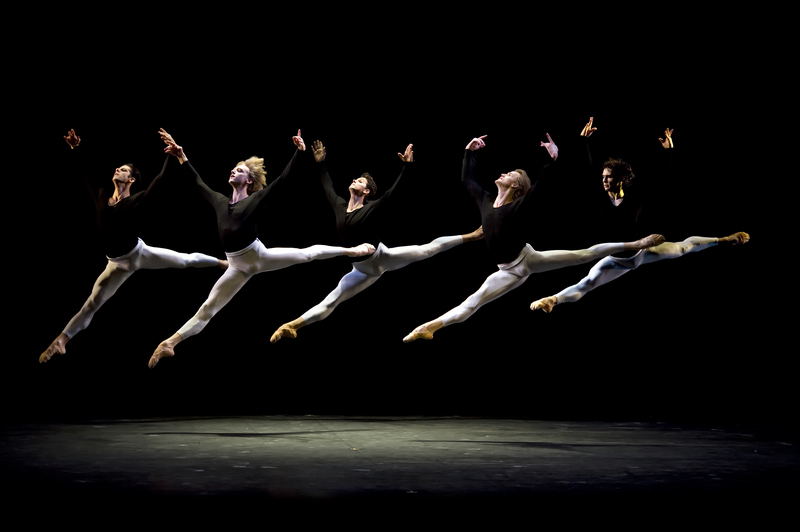 It includes Guillaume Côté of the National Ballet of Canada, Marcelo Gomesof American Ballet Theatre, David Hallberg of American Ballet Theatre and the Bolshoi Ballet, Denis Matvienko of the Mariinsky Ballet and Ivan Vasiliev of the Mikhailovsky Ballet. The men danced eight New York premieres created by such renown choreographer as Mauro Bigonzetti, Edward Clug, Patrick De Bana, Nacho Duato, Jorma Elo, Marco Goeckeand Marcelo Gomes. The evening will also include a historic collaboration by two of the dancers: a work choreographed by Gomes to music by Côté. Kings of the Dance: Opus 3, another of the extraordinary dance events for which Ardani Artists is renowned, is a co-production with Segerstrom Center for the Arts. Performances at New York City Center conclude the world tour that started in Moscow and continued in St. Petersburg, Riga, Novosibirsk, Kiev and Orange County. The two-act program began with Mauro Bigonzetti’s “Jazzy Five,” a group piece for all five dancers. It was set to a jazzy rock fusion score composed by the choreographer’s son, Federico Bigonzetti, performed and recorded by Jazzy Dogs. It portrayed and played off the strong sense of camaraderie that was present between the dancers. With lots of arm and hand gestures and playful finger poking, it was light and humorous. Ivan Vasiliev shined as the ever so slightly impishly misbehaving younger brother. A highlight of the dance was Ivan running onto the stage and lunging into a huge heal slide before settling in a side split on the floor. The dancers seemed to be enjoying themselves, playfully allowing their body the many and varied ranges of possibilities available to them. Act Two began with the solos, the first being Nacho Duato’s “Kaburias,” performed by David Hallberg to Leo Brouwer’s Elogio de la Danza rhythmic composition for solo guitar. The dance draws on Kabuki, martial arts and flamenco elements. Mr. Hallberg, attired in very loose black pants that become a skirt , performance was brilliant. He exhibited a serene and tender passion, his dancing filled with a soft, fluid lyricism. The dance was very personal and he intimately drew us in, especially when he sat on the edge of the stage and peered into the audience as if we not the viewers but the performers. So supple is Mr. Hallberg it is hard to believe he has the same bones as everyone else. Bravo! Marcelo Gomes performed Jorma Elo’s, Still of King. Apparently a tongue-in-cheek look at the princely role relegated to male dancers of the great classical ballets. Mr. Elo is the Finnish-born resident choreographer of Boston Ballet and has set his new dance to the first movement of Franz Joseph Haydn’s Symphony No. 100 in G major “Military”. You cannot help be to be drawn into Mr. Gomes’ performance; costumed all in white, he is riveting as the dark and mysterious prince and makes us smile with his ever subtle parodies. In the dance, he seems to fold within himself and then explode with energy. I was so involved in his performance that if the ceiling fell down around me, I seriously do not think I would have noticed. I for one will run, not walk, to any performance the features Marcelo Gomes and I suggest you do the same! 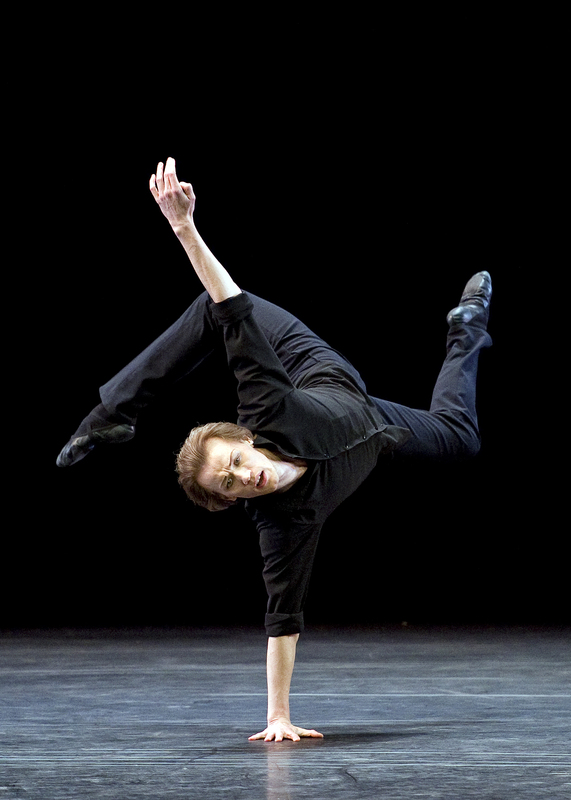 Edward Clug choreographed “Guilty” a solemn work by set to a Chopin Nocturne No. 1 in B Flat Minor Opus 9, No. 1 for Denis Matvienko. It was a meaningful and mesmerizing performance. He grabs us with his passion and conviction and no one can give better drama than a Russian. Guillaume Côtéperformed choreographer Marco Goecke’s Tue, set to the music of French singer Barbara, known for her melancholic lyrics and melodies. Mr. Côté’s performance was strong and masculine but allowed for a tender fragility of moment but at the same time quite intense. For me the highlight of the evening was Ivan Vasiliev. I have made no secret of my admiration for Mr. Vasiliev and his capabilities. If you take away the fantastical leaps and ability for never ending spins, you will see a dancer of the most pure sort. He flows across a stage smooth as honey and his expressiveness and passion comes from a place deep within him. 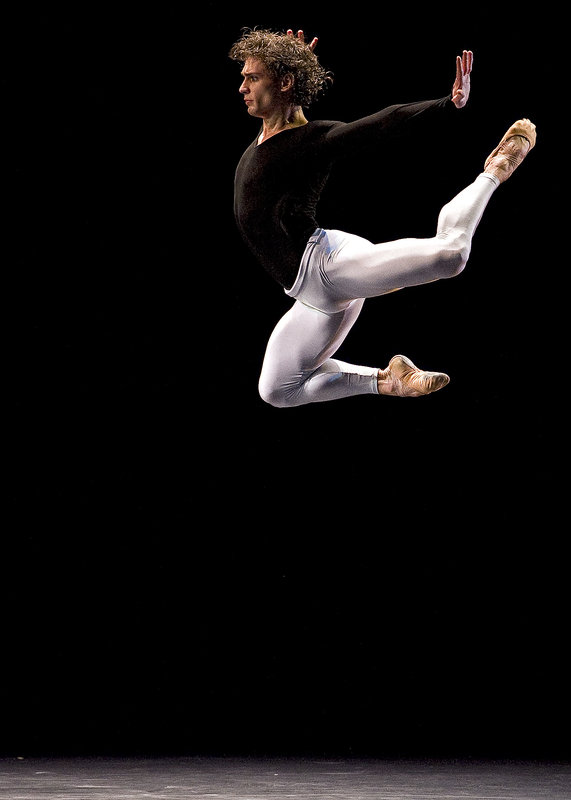 He exhibits a unique blend of Nijinsky, Nureyev and Baryshnikov and at only 23 years of age his potential is unlimited. Mr. Vasiliev’s performed, Labyrinth of Solitude, choreographed by former Compania Nacional de Danza principal dancer, Patrick de Bana. The 10 minute solo which was created in only six days was dynamic. Octavio Paz, in his nine essays, Labyrinth of Solitude, says that “Man is the only being who knows he is alone”. Mr. Vasiliev exhibits this to perfection as a man questioning his place in the world, examining the angst and apprehension of his being. The image of Nijinsky in Petrushka kept coming to mind. He brought the crowd to its feet and this alone was worth the price of the ticket! The finale offering of the evening was KO’d, a collaboration for Marcelo Gomes as the choreographer and Guillame Côté as composer. It is evident that Mr. Gomes is inspired by the work of by Jorma Elo and Jiří Kylián, for KO’d was a lyrical and explorative yet at the same time it was the most classical choreography of the night. Mr. Côté’s piano composition was a nod to the romantic composers such as Rachmaninov and Tchaikovsky. The music and choreography blended seamlessly with Mr. Côté leaving the group briefly to play part of it on the piano. It was a fitting end to evening filled with superb dancing by some of the most talented artists in the world.